Fluxus F (permanent) - Gripp Inc.
For permanent installations, FLEXIM engineered the FLUXUS® F501 or F704 series. 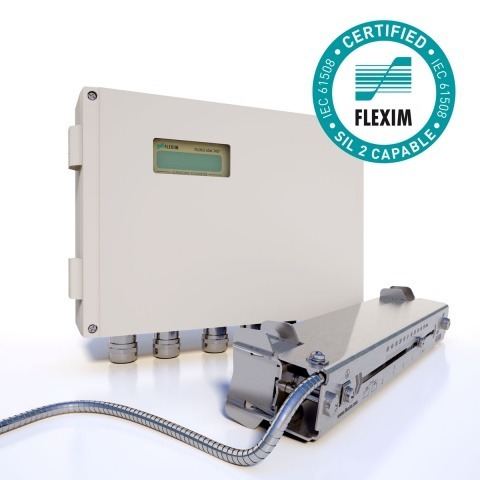 The FLUXUS® F501 is the ideal solution for any water and wastewater applications from line sizes between 1.5 to 12 inches with particle loads up to 6% content by volume. For bigger line sizes, higher solid contents (up to 10% content by volume) and any liquid medium within industrial environments, the FLUXUS® F70X series will best suit your needs. The FLUXUS® F704 is also available as a special Low Flow meter engineered for accurate and reliable measurements of chemical dosing applications with line sizes ranging from 1/4” to 1” inner diameter and flow velocities starting from as low as 1 gal/h.